We provide monkeys for any production. 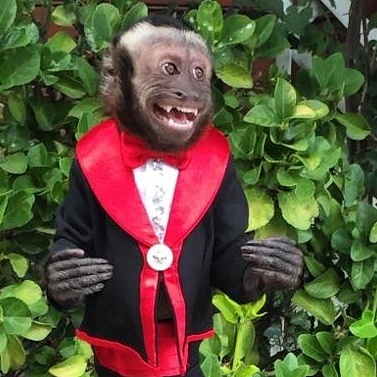 You can hire and rent a monkey for a birthday party or any kind of event or production in California, Las Vegas, San Francisco, New York, and New Jersey. We have monkeys experienced in Events, film and television production and live stage shows. Monkeys are perfect to entertain your guests at a party, theme party corporate function, or any event. EMAIL for information on hiring a monkey entertainer. 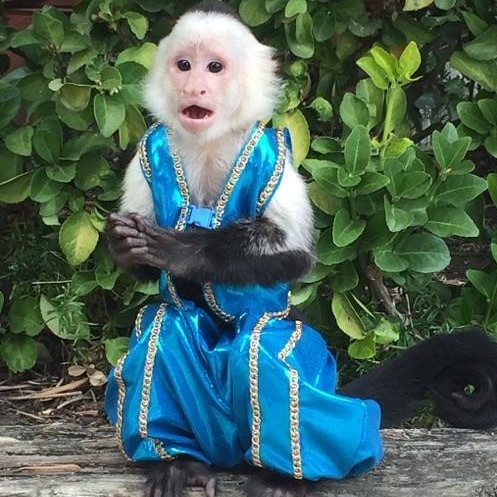 info@piratesforparties.com We have Black face Capuchin and white face Capuchin Monkeys seen here wearing a black and red tuxedo and a blue Genie outfit.